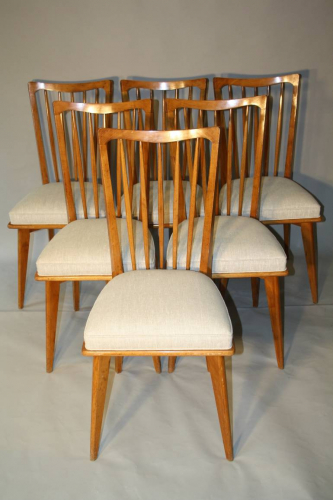 A elegant set of 6 beech dining chairs. Reupholstered in hard wearing linen. French c1950.